I don’t know about where you live, but here in Maryland, we see all types of weather. From the hottest of summers to the most brutal winters. My favorite season of all is spring. The trees and flowers are blooming, the grass is greener, and the birds are chirping. It almost feels as if everybody has come out of hibernation and have begun their spring time rituals. Planting gardens, mowing the grass, firing up the grill, and staying outside until after dark. At my house, when spring is here, we open up the windows and let the fresh air in. We also love to invite our friends and family over so that the kids can run and play and the adults can hang out and eat. Our gatherings always center around food. I love to make my easy, ‘go-to’ dishes for company. 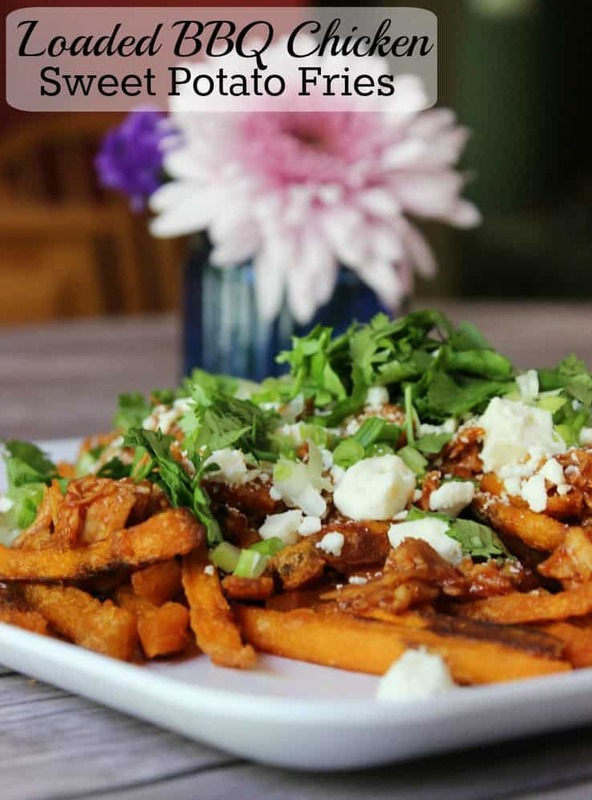 One of my favorite dishes is my Loaded BBQ Chicken Sweet Potato Fries. 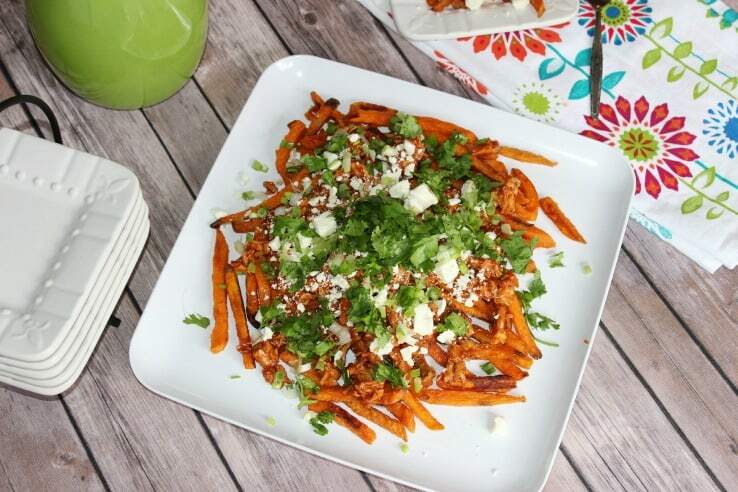 I have incorporated my favorite brand of frozen sweet potato fries, Alexia Foods, into this recipe. I used to make this recipe using fresh sweet potatoes, sliced into oven fries and baked. But because I like to have more time to enjoy myself, along with everybody else, I like to find recipe shortcuts that won’t compromise the recipe’s quality, making my life that much easier. Before one of our most recent get-togethers, I decided to run up to Walmart and see if I could find a good quality frozen sweet potato fry. I found a bag of Alexia Sweet Potato Fries with Sea Salt in the ‘Frozen Vegetables’ aisle. 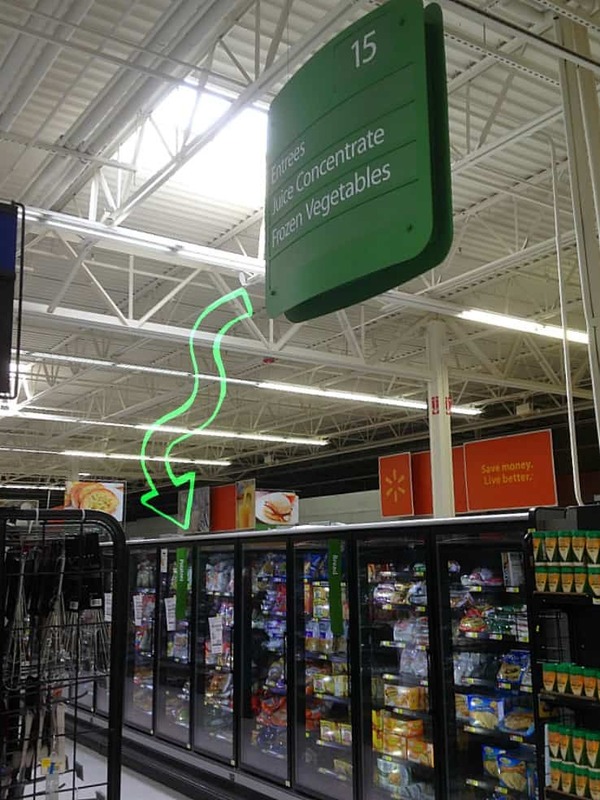 All of Alexia’s frozen fries, potatoes, and onion rings are located at the top of the green flagged ‘Potatoes’ section in the aisle pictured below. I like the fact that the Alexia brand uses all natural ingredients. That, to me, is just as good as freshly made. Alexia has a nice variety of frozen sweet potatoes, onion rings, and fries. The 3 varieties I chose to get that day were the Sweet Potato Fries with Sea Salt, the Crispy Onion Rings, and the Spicy Sweet Potato Fries. Their newest product, Rosemary and Sea Salt Fries, looks amazing too. I’ll be buying that next time I’m at Walmart so I can make my Loaded Chicken Satay Fries recipe. 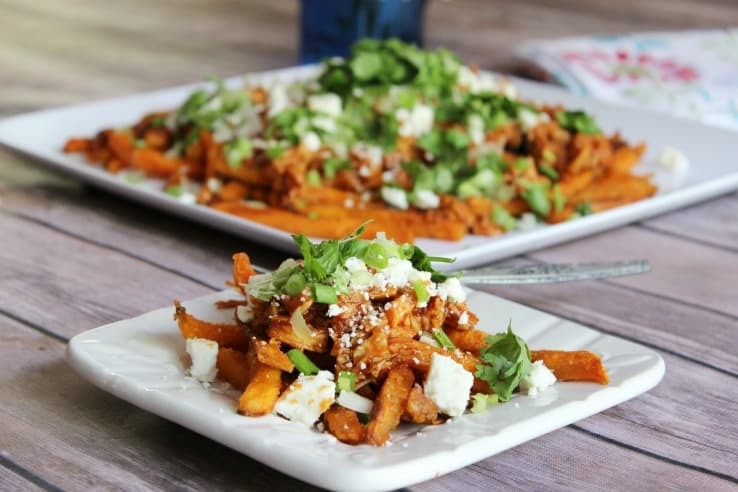 My Loaded BBQ Chicken Sweet Potato Fries recipe is just one example of how you can enjoy Alexia frozen fries, potatoes, and onion rings not only as a side dish, but as an enhancing, time-saving, ingredient in your recipes. I am beyond excited to have found this product. Because I didn’t have to make the sweet potato fries from scratch, the recipe took much less time to make. And the result was delicious! Boil 2 to 3 boneless, skinless chicken breasts. While boiling your chicken, follow the package directions for baking your Alexia Sweet Potato Fries with Sea Salt. When chicken is cooked through, pulled it apart into shredded pieces. Mix the shredded chicken with your favorite BBQ sauce (I used Hickory & Brown Sugar) in a saucepan over low heat until heated through. Spread out the baked Alexia Sweet Potato Fries with Sea Salt onto a serving platter. Evenly distribute the warmed BBQ shredded chicken over top of the sweet potato fries. Sparingly sprinkle sliced spring onions, cilantro and feta cheese over top. The recipe turned out great. Everybody loved it! Even the kids ate it up! 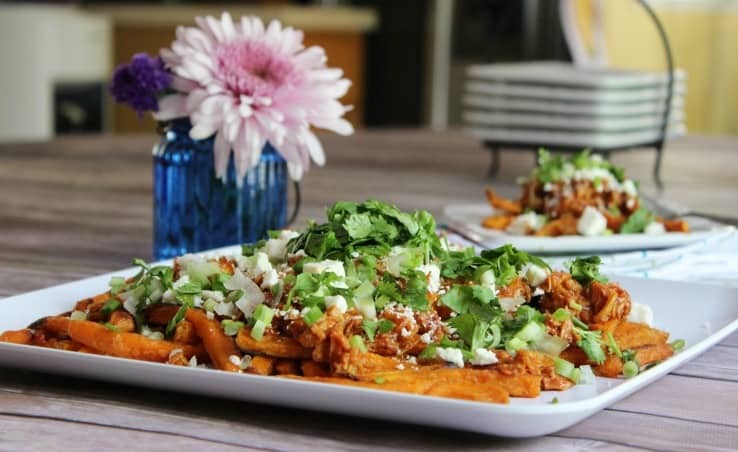 The combination of the sweet potatoes with sea salt, along with the BBQ chicken and the fresh green onions, cilantro and feta cheese was the perfect combination for that savory, sweet, & bold taste. Boil chicken breasts in water on stove until chicken is cooked through. In the meantime, follow the package instructions for baking the bag of Alexia Sweet Potato Fries with Sea Salt. When chicken is cooked through, pull it apart into shredded pieces. Mix shredded chicken and BBQ sauce in a saucepan over low heat until heated through. When the fries are done baking, spread them out onto a serving platter. 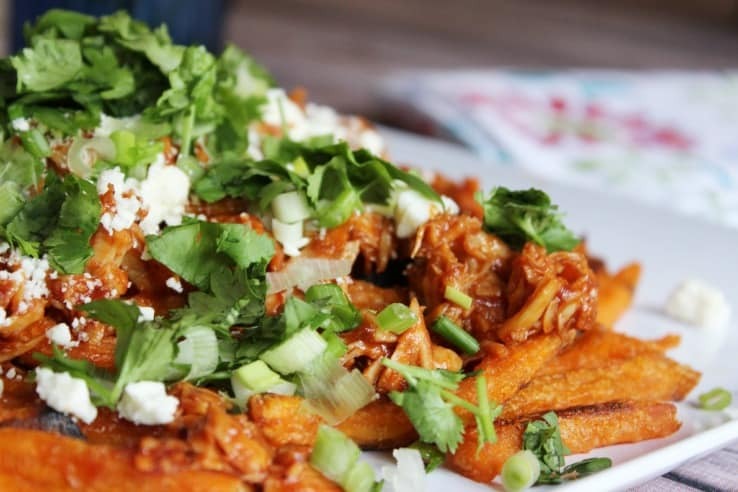 Evenly distribute the shredded BBQ chicken over top of the sweet potato fries. 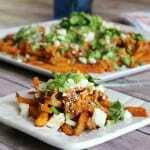 Sparingly sprinkle the sliced spring onions, cilantro, and feta cheese over top of the fries. You can keep up with all of Alexia Foods’ latest offerings by following them on their Alexia Foods Facebook Page. 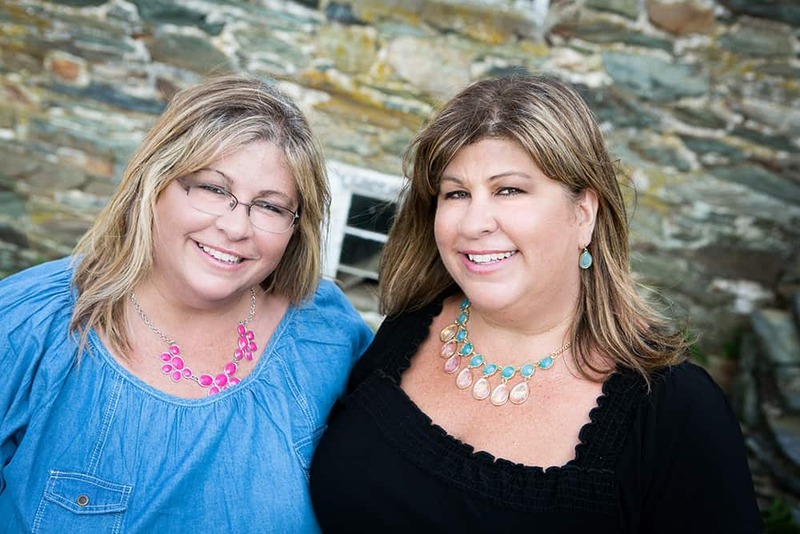 AND you can find a ton of recipe inspiration by following them on their Alexia Foods Pinterest Page. Does spring time inspire you to make certain recipes? I’d love for you to leave a comment sharing your favorite spring recipe ideas. This does sound like a delicious and different spring meal! As soon as the weather starts to show signs of spring we entertain a lot more. This is a dish we’ll have to try! 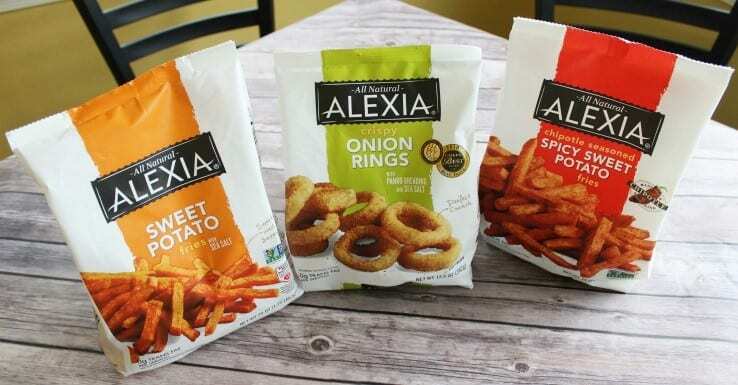 I love Alexia brand products, especially the sweet potato fries, but my husband won’t touch them. This recipe, though, might be just what I need to change his mind! This looks so delicious – perhaps I would even eat it. Sweet potatoes is one food I do not care for at all. My husband keeps telling me they are so good! Grill me up a burger and we will be in heaven. These look so amazing and a dressed up appetizer. My family would totally love these! Thanks! I love sweet potato fries! These sound really really tasty! Can I come over for dinner? That looks absolutely amazing! Yum! Sweet potato fries are such a treat! I LOVE Alexia frozen foods and can’t wait to try this recipe. Somehow I just don’t see mine turning out as beautiful as yours. Mouthwatering and yummy looking! This sounds like a dream come true for me! Sweet potato fries and BBQ chicken in one! Yes please!! Total yum. I’m always up for a good plate of loaded fries, and the fact that they are sweet potato is just a bonus! I’m definitely drooling!!!! I will make this for dad and me! I love Alexia brand foods–have some in my freezer. Another thing you can do if you want a really easy meal is to buy sea-salt fries and top them with a can of chili, without beans–warmed. You can spoon sour cream and feta cheese on top. Oh yum!! You need your own blog to do recipes! These are healthy and sound tasty! Whoaaaa this is one awesome appetizer! I actually love their fries and their sweet potato ones are perfect! Oh what an absolutely perfect dish idea. I am drooling over here, I have to make these. Love love this recipe. On my shopping list! I’m literally salivating and I’m not a HUGE fan of sweet potato fries, but this seems like a great combination. On another note, where is this satay recipe you speak of? I can’t find it on your blog. You know what – I haven’t posted that one! Thank you for the reminder – stay tuned….